George Hamilton is one of the most renowned names in the history of Hollywood. He is a famous American film and television actor. He has appeared in various notable films like Home from the Hill, Zorro, The Gay Blade, Your Cheatin' Heart, Love at First Bite which is still watched by million of people all around the world. His successful career is no wonder an inspiration for millions but today in this section we are going to reveal you all about his affairs, married life, and relationship. Though George is currently single he has been in quite some troubled relationships in the past. George Hamilton was previously married to famous actress Alana Stewart. The couple got married in 1972. From their relationship, the couple also has a child; a son named Ashley Hamilton. However, their marriage didn't last more than three years and despite having a child, they finalized their divorce back in 1975. The exact reason why the couple split is not revealed yet, however, "Irrational difference" is believed to be the major reason behind their separation. Some sources also said that George was dating another woman while he was married to Alana and thus, the extramarital affair ultimately became the reason behind their divorce. However, we don't find any authentic proof regarding this statement. It already was four years of their divorce and in 1979, a news came that Alana got married to a rock star singer Rod Stewart. Their marital relationship too didn't last and the couple got divorced in 1984, after five years of marital relationship. They also have two children together, a son named Sean and a daughter named Kimberly. Let us tell you a relly interesting thing now. George Hamilton and Alana Stewart were reunited in the mid-1990s but they just worked together as co-hosts in a daily talk show George And Alana. They didn't have any emotional feelings for each other. Besides George's marital relationships, he has been in several romantic relationships in the past. 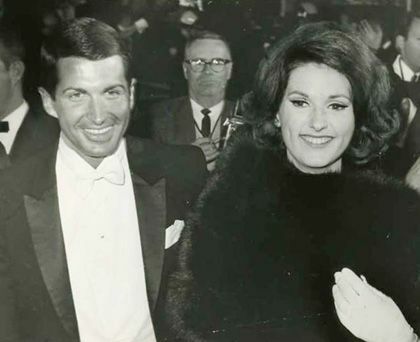 Before getting married to Alana, George was reported to have an affair with a couple of girls and one of them was with Lynda Bird Johnson, daughter of the former US President Lyndon B. Johnson. At that period of time, George also dated a girl named Kimberly Blackford with whom he has a son named George Thomas. In addition, during a show, I 'm A Celebrity, George once said that he had an affair with at least four Miss Worlds. Currently, George Hamilton is reported to be single. Does he have any further plan regarding getting married, only time will tell us. Until then we wish him all the very best for his future. For more updates, stay connected with Frostsnow.